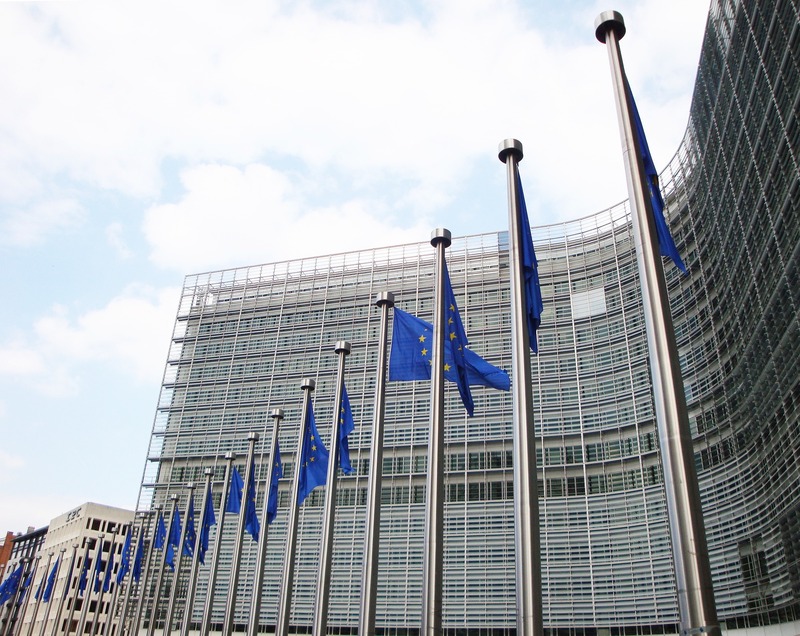 In a time with rising demands on the EU coffers and a series of continuing crises as well as dwindling revenues due to Brexit, the EU structural funds are challenged. But what can we expect of the next programme period from 2020 when it comes to regional funds and the interplay with other types of EU funding? That was one of the questions asked by the Nordic thematic working group on innovative and resilient regions at a study tour to Brussels on March 14-15. The trip included meeting with officials from the EU Commission and the Committee of Regions, who both pointed towards a future with more competition for funds, a bigger need for cross border and cross sector cooperation and also advised future applicants to consider synergies with other EU programmes, not only Interreg and ESPON, but even the social fund and others. The next so called Multi-Annual Financing Framework starts in 2021, so negotiations are already ongoing to decide the make-up of the new funding scheme. Talks of a 15 or even 30% cut of the structural funds have been on the table, a decision that would hit hard in many regions. In the lack of a proper EU wide financial policy, in many ways the cohesion funds – of which the regional and the social funds are the largest – have acted as a leveling mechanism in terms of redistributing wealth between richer and poorer regions within the EU. But in the wake of the financial crisis, new mechanisms have also been put in place, the most prominent being the socalled Juncker Fund, distributing an estimated 2 trillion Euros in funding. This has however also meant a move from grants towards more loan based structures, as much of this funding requires business investors and projects need to give a different kind of pay back so to speak. And this is a challenge for many regions, also in Northern Europe. The meeting of the thematic group was hosted by the East and North Finland EU Office, with its Director Kari Aalto participating on the first day along with representatives of a number of other Nordic regional EU offices. According to Aalto, the structural funds have been good at leveling the playing field between richer and poorer regions, at least in a Nordic context. – The cohesion funds have worked well in terms of decreasing gaps and disparities between regions in the Nordic countries. But they have not always worked well in all parts of Europe and results may not always have been encouraging all over, which may be one reason why there are plans to change the funding schemes, he says in an interview in connection with the Nordic visit. His and a number of other Northern offices have formed a group advocating the needs and views of the Northern Sparsely Populated Areas (NSPA), regions with small populations, long distances, harsh weather conditions, ageing populations and a not very diversified commercial base. They represent 14 regions, with 0,5% of EU population, but making out 10% of the EU landmass. And new trends within EU funding may not favour the NSPA region, as you can read on the website of the NSPA network in Brussels. – But there is a real risk that poorer regions in richer countries will experience the biggest drops in funding. In some scenarios, Finnish regions even stand to lose as much as 88% of current regional fund grants. According to Aalto the future will definitely mean less funding for infrastructure, at least of the traditional kind with roads and railways. Broadband capacity will remain a priority, but who actually gets to administer that funding is not quite clear yet. Aalto has a few pieces of advice for future applicants also. – We should focus on using the EU regional funds on creating competencies, he says, moving into areas traditionally connected with the social funds. At the same time, he expects funding to be more targeted, with less possibility for overlap and “shopping around”, but at the same an increased demand for showing synergies between activities and programmes. One element that will remain a stable part of the criteria for funding is, however, the concept of smart specialisation. According to Commission officials, the trend there is to move away from a one size fits all approach, asking applicants to live up to the same criteria no matter what their starting point is. But there will be a bonus for presenting applications with a cross border and cross regional outlook. – Smart specialization is still a useful concept at the regional level and actually something we have used in the NSPA regions for a long time when it comes to regional development. It is always constructive to focus on strengths rather than weaknesses and I think we will see more and more of the smart specialisation type thinking in the future, Aalto concludes.